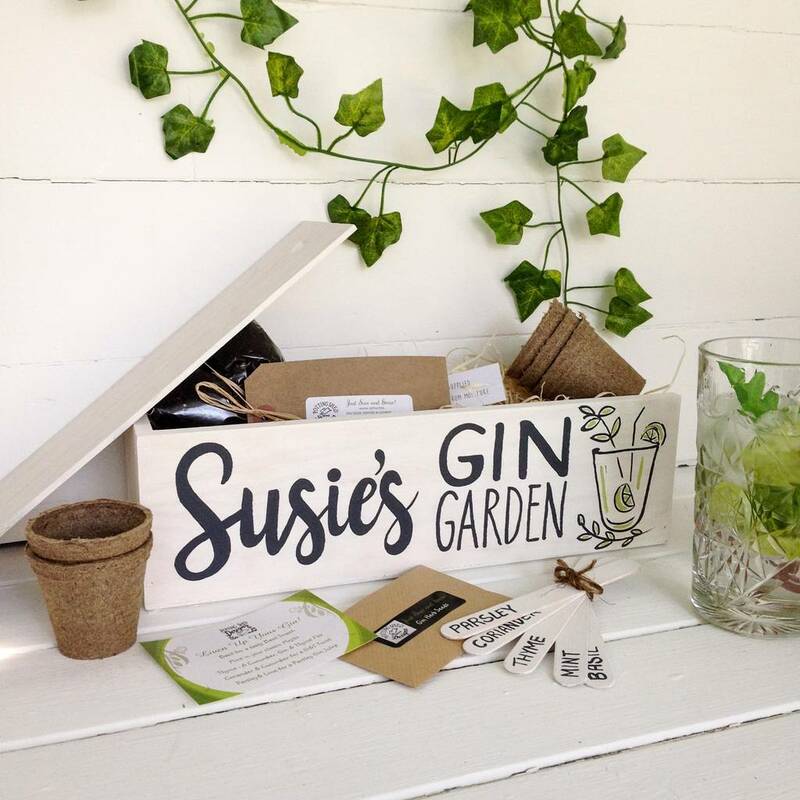 A Gin garden box with seeds,pots,compost,herb markers and recipe leaflet.White washed wood with personalised Grey lettering and gin cocktail design. 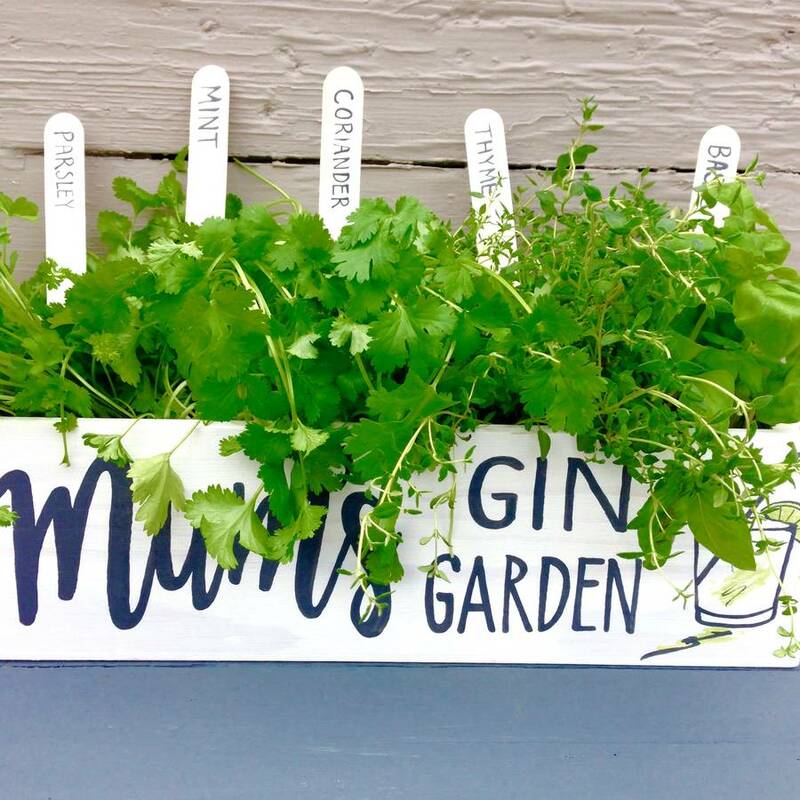 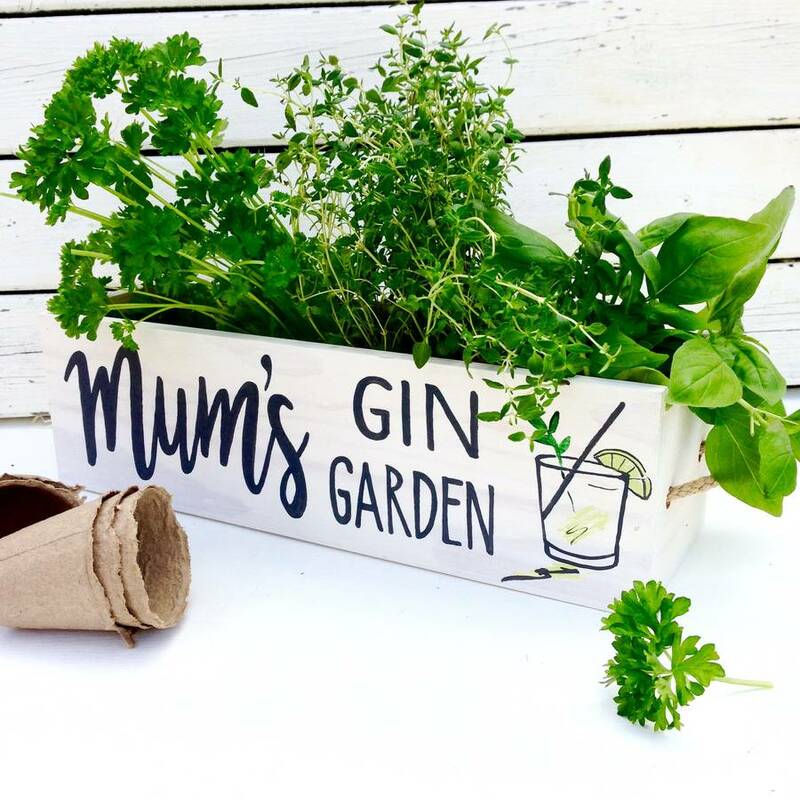 A gorgeous sow your own gin herbs window box is the perfect way to grow herbs to enhance your gin experience on your kitchen windowsill. 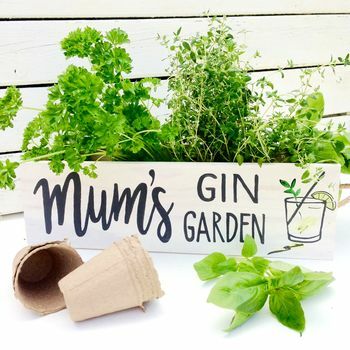 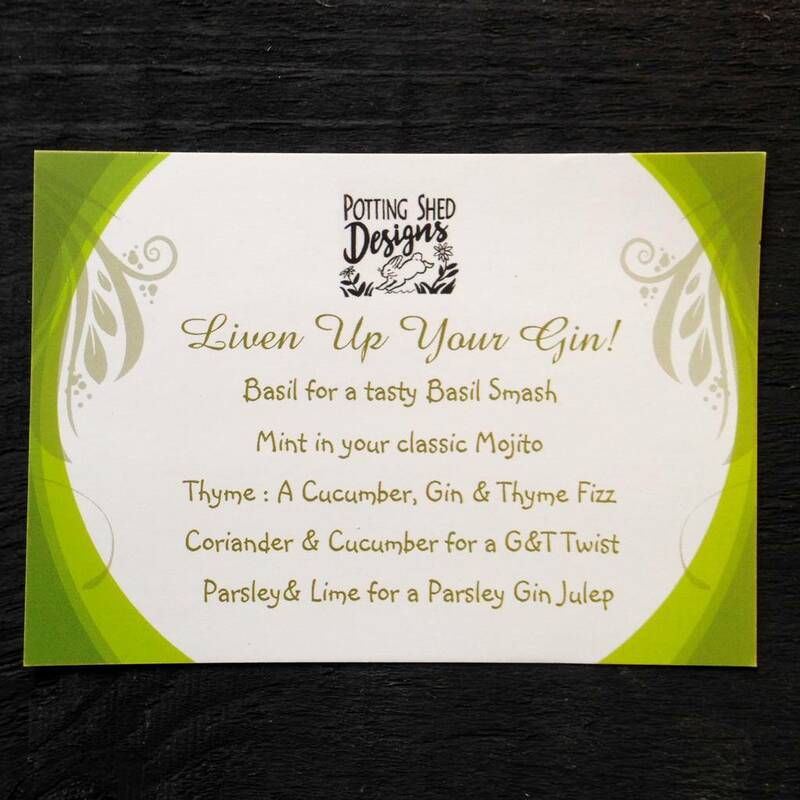 We have added 5 varieties of herb seeds that can be used as a garnish for cocktails plus 5 fibre pots and grow fibre and 5 seed markers, just pop the fibre in the pots, sow the seeds and wait! 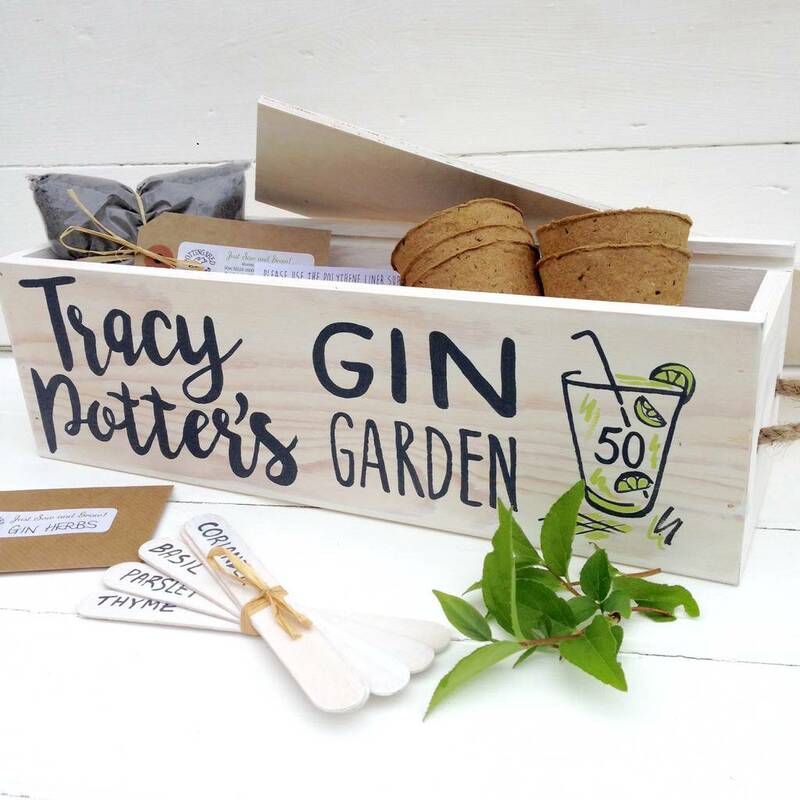 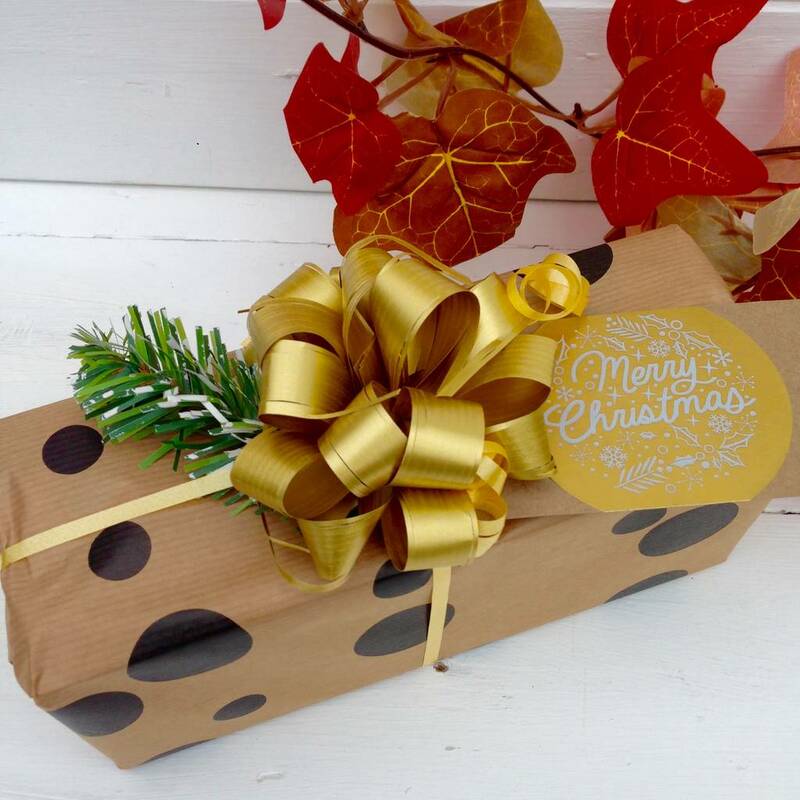 A 5th wedding anniversary is classed as 'wood' so this would also make a useful gift for that occasion too, as well as a 'Thank You' gift for teachers or anyone who deserves a treat! 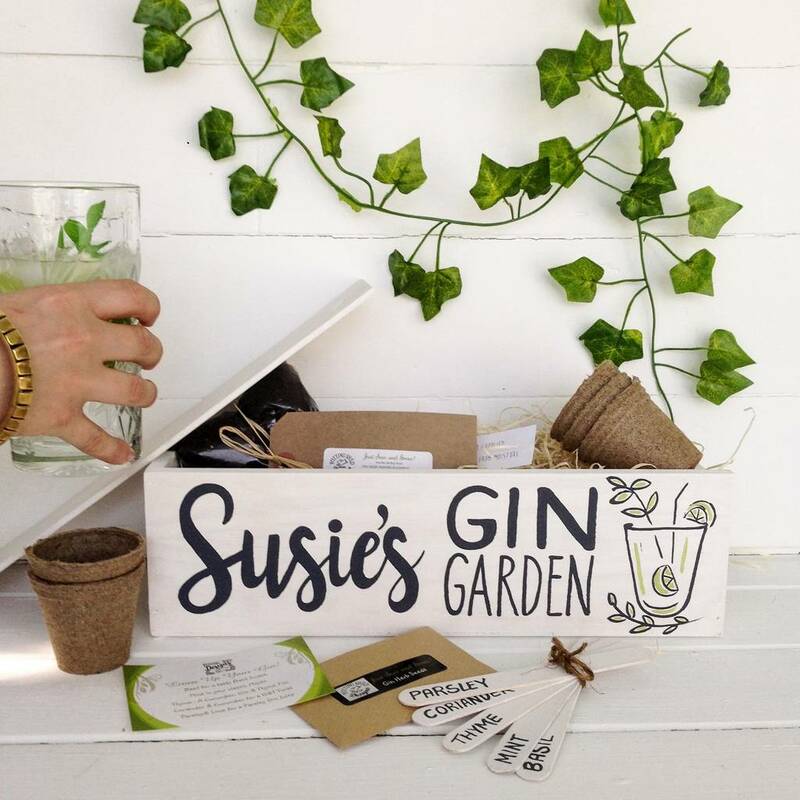 This gorgeous white washed wood window sill herb box blends so well with any decor, particularly the pared down natural look. 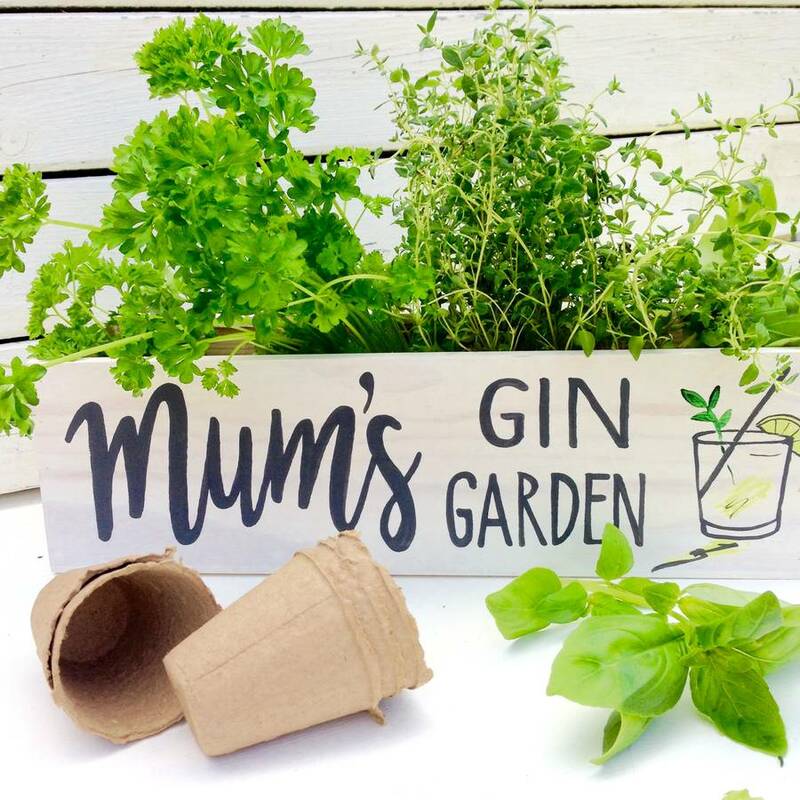 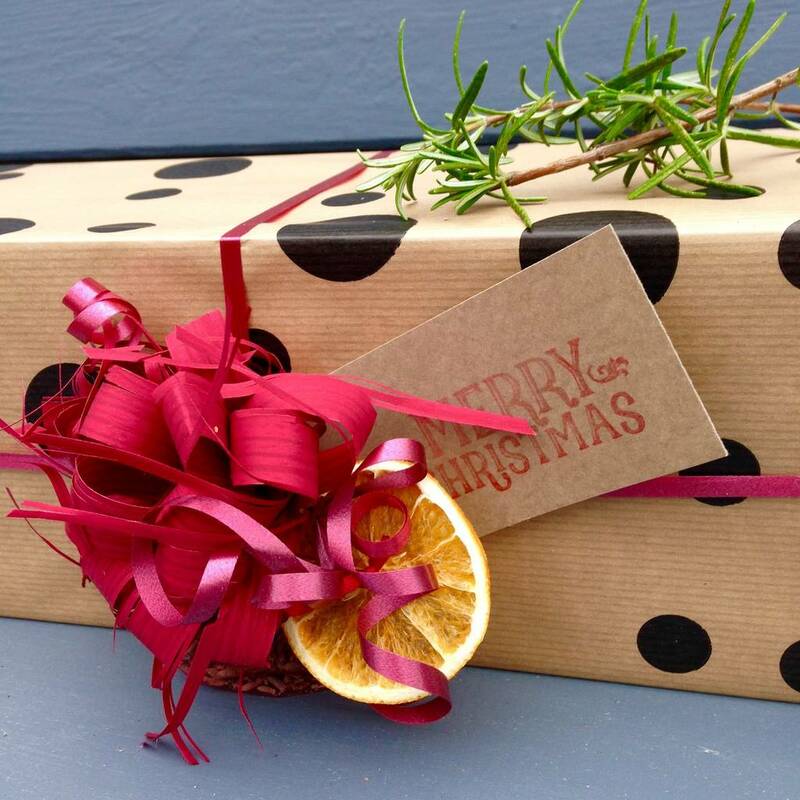 A fabulous gift for the gin lover, a luscious display of herbs on the kitchen windowsill, ready for use as a gin cocktail garnish when grown. 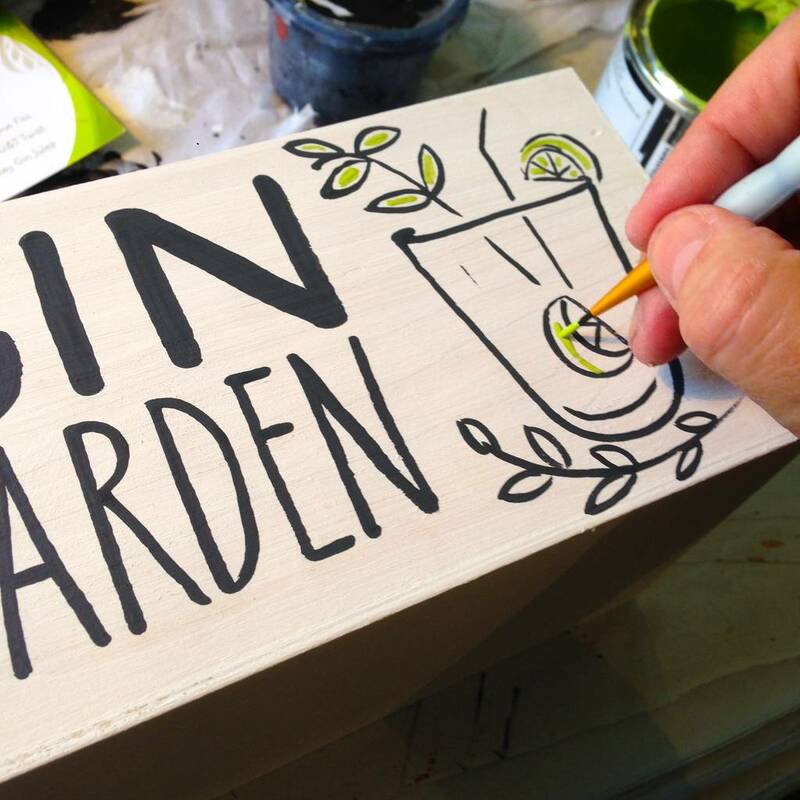 You can have up to 15 for the person's name or house name etc, painted in dark grey and 15 letters for the capitals.